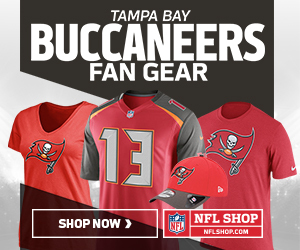 The Tampa Bay Buccaneers will be coming off their first loss this past Monday against the Pittsburgh Steelers. They turned the ball over many times in the first half and dug themselves in too deep of a hole. They would have a great second half where they shut out the Steelers and would get within three points. Now they will travel to Chicago to play the Bears. These two at one time were in the old black and blue division. These are three things I will be looking at as the Bucs play the Bears. This is the 5th straight year these two will play each other. They have split the last four years. The Bears won in 2014 and 2015. The Bucs have won the previous two years. The two games the Bears won were both close. They won by 5 and 8 points in both their wins. The Bucs wins have been by 18 and 26 points. Let’s see who wins this year. Will it be close or a will it be a blowout? Who will start at quarterback for the Tampa Bay Buccaneers? After last week it looked like the Ryan Fitzpatrick magic was over. The answer to this question was answered is Fitzpatrick. This will be the first week back for suspended quarterback Jameis Winston. He greeted the media on Tuesday the day after the loss and said, “Did you miss me”? This is the right move for the Bucs. They are going up against one of the toughest defense in the NFL. The Bears will have to see if their quarterback can finally put a complete game together. The Bucs are a pass first offense. The running game is the worst in the NFL, and they will have to find a way to get the running game together. The Bears defense features all-pro Khalil Mack. Mack is one of the best pass rushers in all the NFL. How will the Tampa Bay Buccaneers prepare for him and the rest of the defense? They will have to find a way for Peyton Barber to get some yards and take the pressure off of the passing game. The Bucs will now wait and see when Jameis Winston will come back and be the starting quarterback until after their bye week. They will turn the team back to Ryan Fitzpatrick who led them to a 2-1 record against three 2017 playoff teams. Most people thought they would go 0-3 or at best 1-2. They proved them all wrong. Look for the Bears defense to be a huge factor in the game. Will the Bucs score enough points to beat Chicago? Tampa’s defense hasn’t been that good either. I look for Mitch Trubisky to have a good game as well. WWE: Who Should The Wrestling Giant Target For The Future?